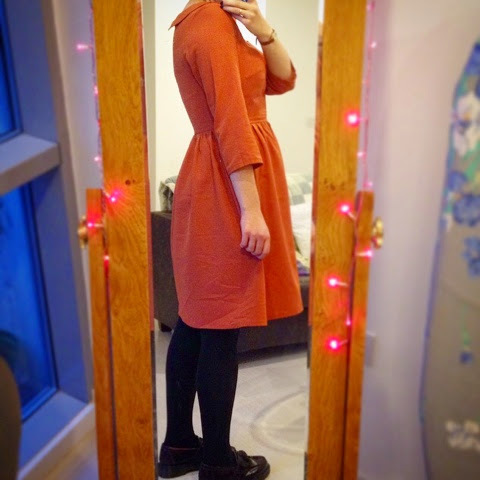 It's been a fairly slow and steady sew, but I've finally finished my first Emery dress. I've heard a lot of sewing blogger buzz around the Christine Haynes pattern, and I can definitely see why - I'm totally on board! So suitably inspired, I set off with making my own. With the English winter setting in, I chose to make Version B. Oh and if you've read my other posts, you'll know I'm a big fan of a good collar. 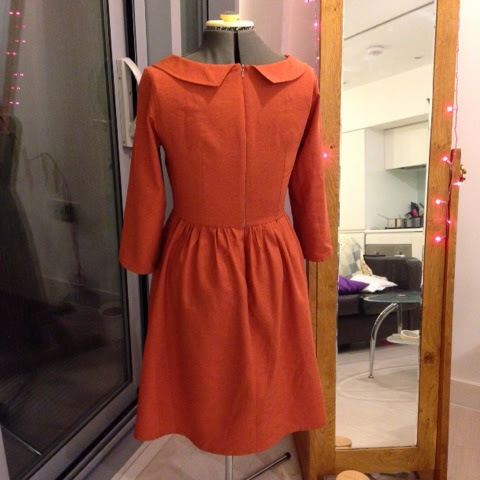 I chose a medium-weight, autumnal orange, poly cotton to make the dress in - nothing too fancy, I just had it lying around. I favour jumping straight in and having a go with fairly cheap fabric, rather than muslin making. This is bad I know, but most of the time I can do just a few tweaks and have a perfectly wearable garment. I normally have very little patience for pattern marking, but I bought a nifty chalk wheel tool that makes drawing darts a breeze. I can't believe I've done without one for so long! The making up process was quite straightforward. 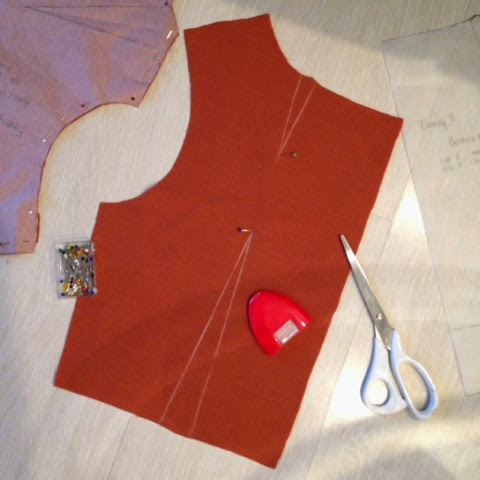 I cut a straight size 8 (think this equates to a UK size 12). It's probably a smidge tight at the bust - didn't do an FBA, risky business - but it's a pretty good fit overall. For my next Emery, I'll probably ease the side seam allowance to around 1cm at the bust instead of 1.5cm. A tiny bit more breathing room and then the fit will be spot on! 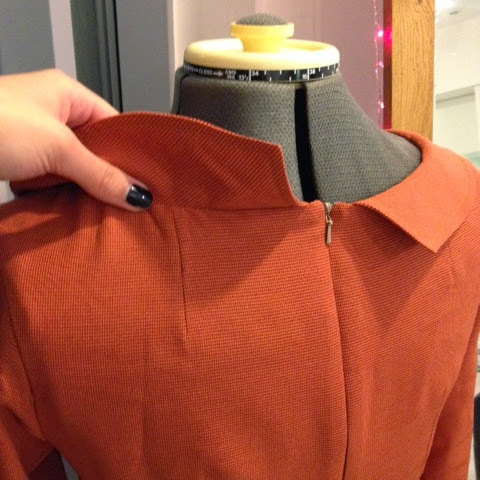 The two small darts on the neckline of the back bodice are genius. I always seem to get gaping around the back neckline, but this is clearly the way to prevent it. I wasn't so sure about the sleeves at first. I felt a bit like a little girl in her Sunday best. But I'm starting to come around to them, and there's always the option to shorten them for spring. 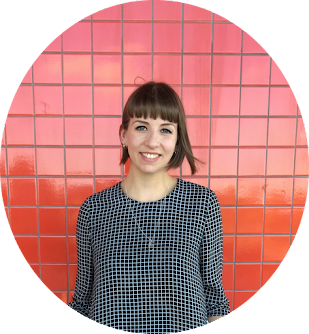 I love everything else though, especially the dreamy neckline. 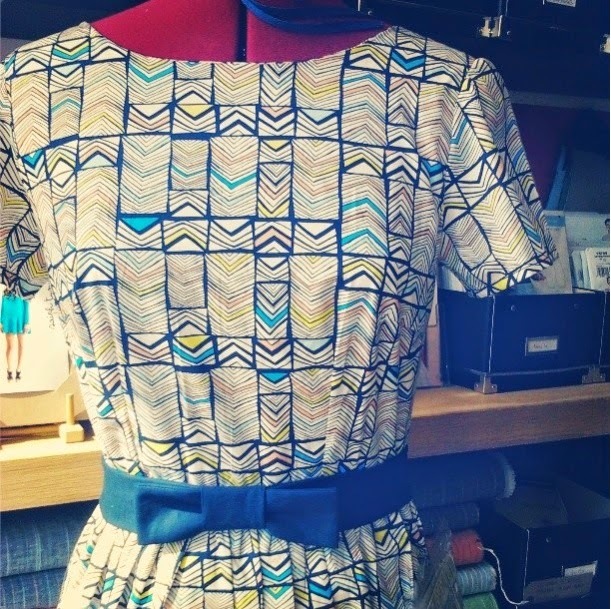 The dress itself has no bells, whistles or frills - I'm sure these could be added at the maker's discretion, along with the bow that the pattern provides instructions for - but it's one of those proper lovely, solid wardrobe-staples. I'll definitely be sewing up a few more - maybe I could use it for the next One Week One Pattern..? 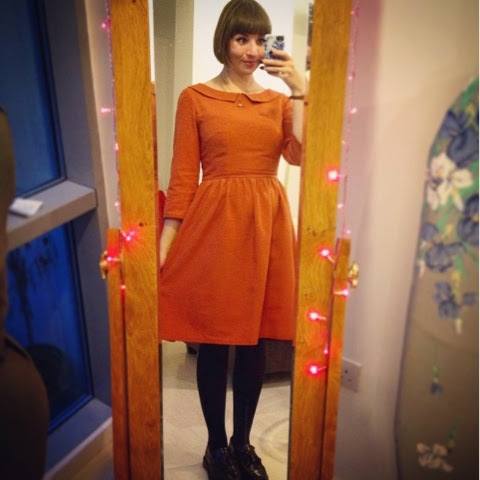 I'll be looking to the blogosphere for inspiration, especially to Roisin aka Dolly Clackett and her many Emery dresses - how does she churn them out?! Any Emery switch-ups and suggestions would be much appreciated! 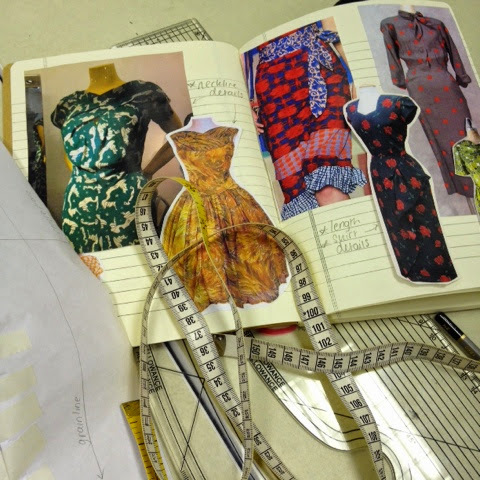 I mentioned in my last post that I was starting a dress making course, well it's in full swing! I'll save it for another time, but all I can say is that I'm working on something potentially very exciting - it'll be even more exciting if I can pull it off! The next Rag Market is in May 2015 and I would definitely recommend it! 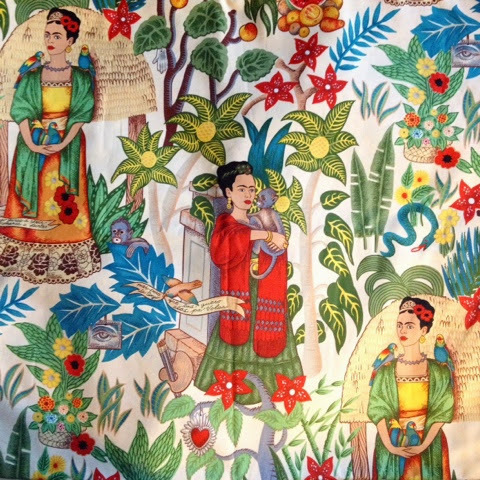 That frida kahlo fabric is so crayamazing��Do you know who makes it SQUEE! Your Emery is gorgeous, I love the colour. And give a FBA a go, it's not as scarey as it looks, but definitely trace the pattern first! Thank you Lynne :) I've done an FBA once before so I really should try it again! This is lovely! I love your sleeves. I made a size 8 too but my sleeves didn't look as nice and fitted as yours... did you alter them? I think I need to revisit the Emery sleeve. A lovely dress, the collar looks great on you.